As this vitola is in the Ramon Allones family, I decided to choose a strong cup of espresso and some dark chocolate with the intent to amplify the overall tasting experience. On a warm summer’s day, I’d probably grab a flute of vintage champagne. 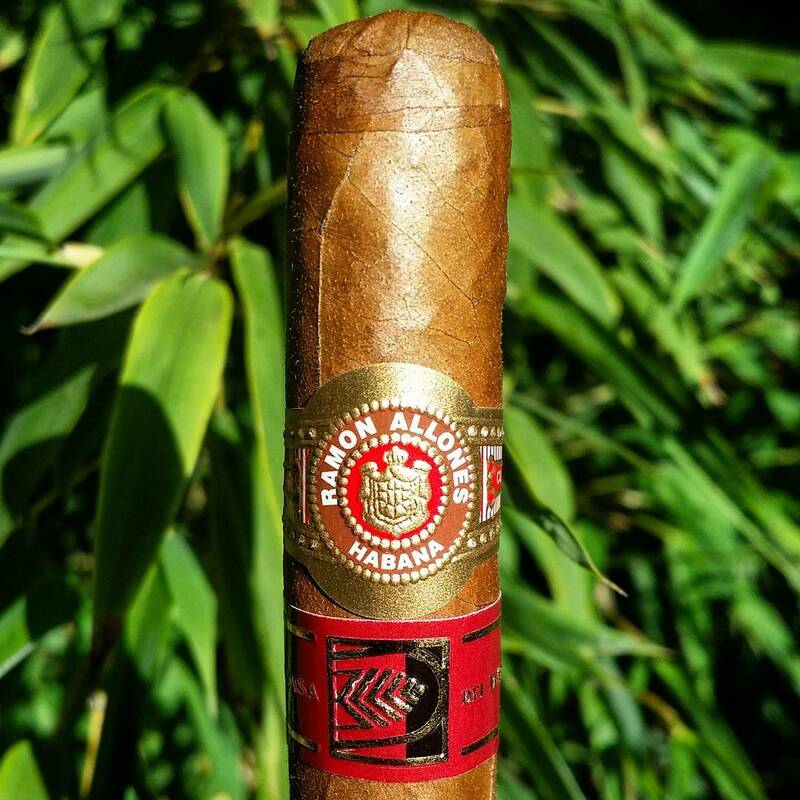 Ramon Allones has been one of my favorite brands for many years. A sad fact is that only a few regular production cigars remain in their portfolio–the Gigantes, Specially Selected, and the Small Club Coronas–all excellent cigars and very similar in taste. I first sampled the Superiores at 2 years of age and was not overly impressed–I remember that the pre-light aroma was very similar to the Gigantes, but once I got in to the cigar the progression was linear and it never really evolved. The taste was a bit empty, so I decided to stash them away in the humidor and wait several years before sampling again. Four years has gone by since my initial tasting and I wanted to see if / how the cigar has developed after a total of 7 years in the humidor. My initial impression on the nose was a fuller, rounder cigar. After lighting, typical RA flavors of leather, meat, earth and musk began to emerge–although not as balanced as the rest of the RA line. This cigar has a very distinctive meaty flavor that is hard to put my finger on–it is really dominant and really influences the experience. I found myself liking it, but it was a bit of a distraction because it was so persistent. After progressing through the first two thirds of the cigar, flavors of cocoa and nuts emerged, balancing out the meatiness to a large extent–which made the vitola more enjoyable. At 7 years of age, I don’t think this is a particularly exceptional cigar. That said, it is seeming to improve with more time in the humidor. I’ll give it a go again after an additional 2 years of aging.